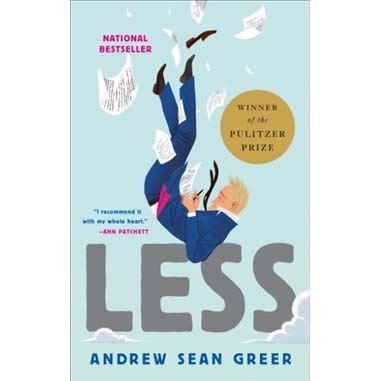 Less is the story of a 49-year-old writer, Arthur Less, who learns that his former boyfriend is about to get married. To avoid the wedding and heartbreak, he decides to embark on a trip around the world, accepting invitations to a series of half-baked lectures and literary events. From almost falling in love in Paris, almost falling to death in Berlin, to booking himself as the (only) writer on a residency in India, and an encounter in a desert with the last person on earth he wishes to see, Less is a novel about missteps, misunderstanding and mistakes. Winner of the 2018 Pulitzer Prize for fiction.